It’s official. I’m a jam fanatic. First I get drawn in by the beautiful fruit. 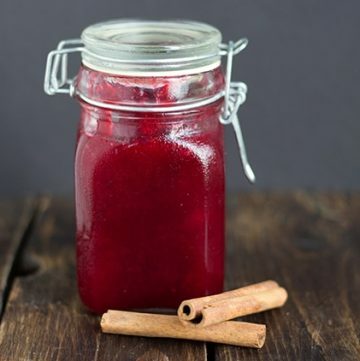 Next, I say to myself, “what on earth am I going to do with this beautiful fruit?” Finally, I find myself in front of a stock pot with loads of sugar and cut up fruit. One of the best parts about making your own jam is being able to control how much sugar is added. Of course you’re able to customize the flavor to your liking which is also pretty great. 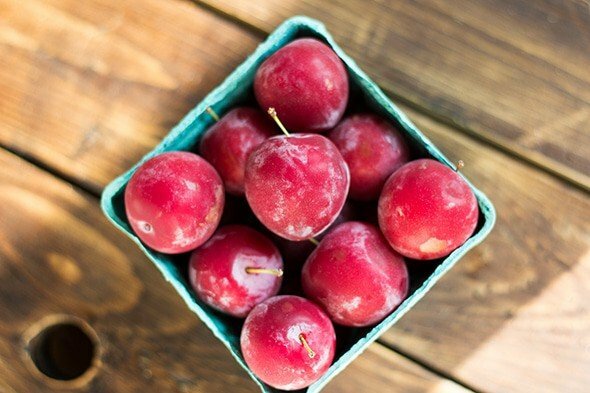 If I’m not mistaken, I believe these were called sugar plums. I was at the farmer’s market and spotted these. They kind of look like super large cherries. They have a small pit in them, so you’ll have to pit them for the jam. It wasn’t a hard task, just a little time consuming! In a large saucepan, add in all the ingredients. 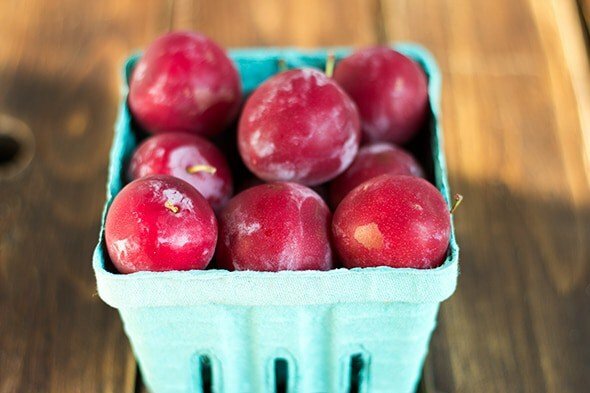 Don't worry about the skins of the plum. They will break down some while cooking. Turn the heat to medium and stir the ingredients together. As the plums warm up, they will form juice. You can smash them with the back of your spoon against the saucepan to help break them down. Stir the ingredients occasionally. As the jam cooks down, it will thicken. When you run your spoon across the bottom of the pan and it briefly separates, you're ready to remove the jam from the heat. My jam took about 35 minutes to thicken to this stage. Remove the cinnamon stick. 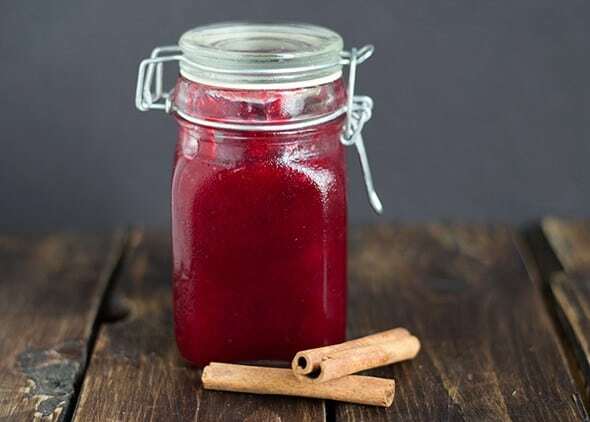 Pour the jam into a mason jar. It should make about 1 and 1/4 cups of jam. It will continue to thicken as it cools. 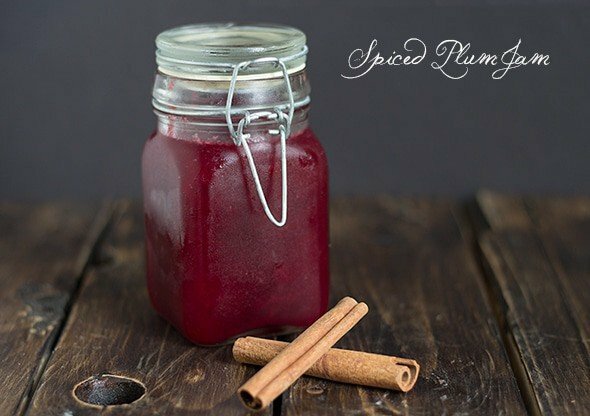 Enjoy the spiced plum jam!